Little traveler is proud to be one of the largest independent retailers of Brighton Heart jewelry, handbags and accessories. 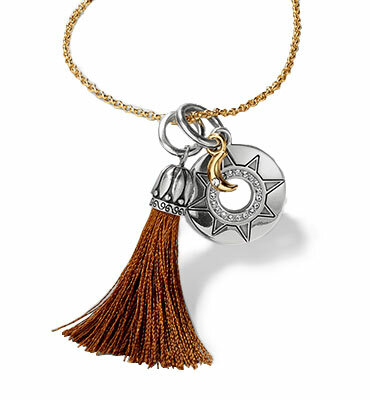 If you want to learn more about the many Brighton Jewelry products Little Traveler has to offer, feel free to give us a call at 630-232-4200 or fill out the contact form on the page and a Brighton Jewelry expert will get in touch with you soon. In 1991, Brighton was founded in Los Angeles, CA creating men’s belts and eventually expanded their catalogue of stylish products selling custom women’s belts, handbags, wallets, and jewelry. All Brighton jewelry uses only the finest materials from around the world resulting in jewelry that is stylish and built to last. Brighton Jewelry also helps keep your style coordinated and on point. Many Brighton jewelry products have a unique silver heart attached letting you know you own a quality piece of jewelry. 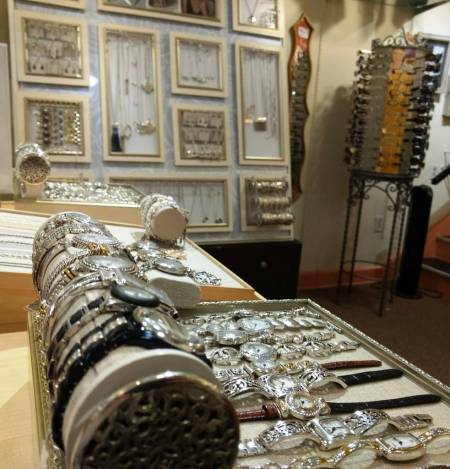 Brighton’s jewelry is designed to pair with other Brighton products such as handbags, sunglasses and even other jewelry. Lots of jewelry and other products come in a matching setting making it even easier to have a matching outfit. From beginning to end, the process that goes into creating Brighton accessories and jewelry is detail-oriented and hand-made. The design team at Brighton travels around the world seeking inspiration. All jewelry designs are sketches and the artisans take those detailed designs and create jewelry that captures the original beauty and detail that the designer had envisioned. It is an old fashioned method that keeps up with modern design styles. If you want to learn more about Brighton products and their many accessories that Little Traveler sells, give us a call at 630-232-4200 or fill out our contact form on the page and get one step closer to quality jewelry by Brighton.